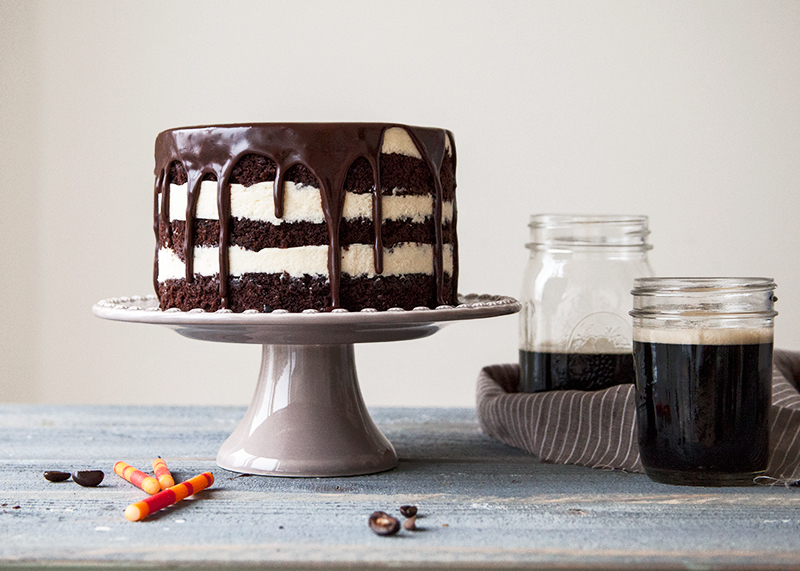 This grown-up birthday cake has it all: booze, beer, and espresso. While in the past I've typically made my brother his favorite carrot cake with cream cheese icing (in fact, the carrot cake recipe I used when running The Frosted Cake Shop was developed especially for him- not nuts, no raisins), I wanted to make something extra bold and flavorful this year. While I am not usually a whiskey fan myself, my fellow Canadians seem to really favor it. It definitely seems that this part of the world drinks their fair share of Old Fashions and Whiskey Sours (the latter being one that I can actually handle). While I've done a whiskey ganache in the past, I wanted to try mixing it with coffee. Paired with a chocolate stout cake, this coffee buttercream and whiskey-espresso glaze are perfect for celebrating an adult birthday with a bang. Welcome to Style Sweet CA - a cake and pastry blog for the home baker. Hi there, I'm Tessa Huff! Thank you for stopping by my sweet corner of the Internet. Happy Baking! Watch the official trailer for "Layered: Baking, Building, and Styling Spectacular Cakes" here! Sign up with your email address to receive the Style Sweet CA Newsletter and weekly recipes.